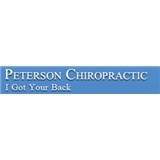 Peterson Chiropractic/Move Well MD (New York) - Book Appointment Online! If you are using a Groupon please do not use Zocdoc to schedule please call the office. He knows what he’s talking about and is very informative. Glad I went and will be returning! Absolutely wonderful! I've been in pain after an injury for WEEKS, and for the first time since (even after a lot of Physical Therapy) I FINALLY feel better. Incredibly nice staff, and a wonderful breadth of knowledge. I'll absolutely be coming back!